In this video you will learn, how to get started with Kendo UI ASP.NET MVC wrapper. In this blog post we will take a look at one of the new widgets we have released as part of Kendo UI Web controls suite. For long people have been asking about why we didn’t have a Kendo UI Button in the arsenal. Well we already have a <button> element in HTML specs so we didn’t want to reinvent things. But when it comes to using Kendo UI for your app you may want to keep things in your app consistent with respect to styling. So instead of you using regular button and styling it to have a look and feel of Kendo UI style sheet, we have gone ahead and released a Button widget for you. You just instantiate the button as any other widget you have been using. The button automatically takes the style of the current Kendo UI theme you are using. 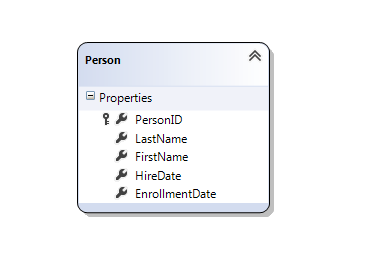 So this blog post will be your primer for using the Button Widget in your ASP.NET MVC apps. Kendo UI Button Wrapper for ASP.NET MVC provides a styled clickable UI widget with any arbitrary content. With Kendo UI Button Wrapper you get a consistent Kendo UI styling. In this blog post we looked at how easy it is to work with the Kendo UI Button wrapper for ASP.NET MVC. We looked at the feature of providing icons to the button. We support 3 different types using which you can provide the icons. You can look at more Kendo UI Button demos here. Give it a spin and let us know if you have any feedback or comment. Once you are done with setting up environment go ahead and add a model. We are going to use LINQ TO SQL Class as model. To add model right click on model folder and select New Item. 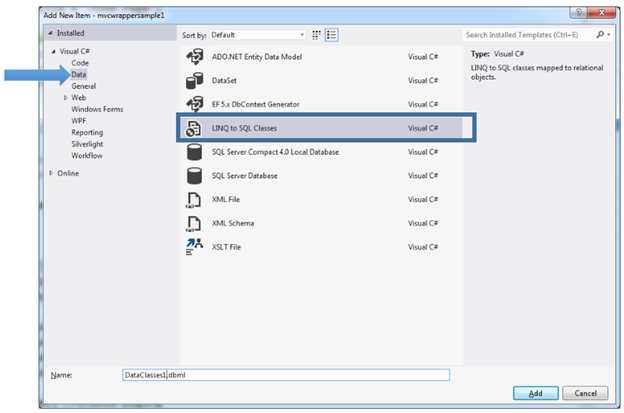 Select Data tab and choose LINQ to SQL Classes to add as model. Give any name to model, I am leaving the default name. In Add Connection dialog box provide server name and from drop down choose desired database. Click on Ok to add a new connection. 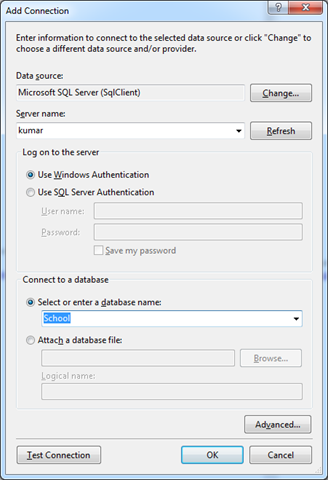 Next from Server Explorer drag and drop the tables on dbml file to create the model. I am choosing only Person class from School database. In Solution explorer you can see a dbml file has been added. We have created the Model, now we need to fetch data using Model in the Controller. I am going to use default created HomeController and Action Index. Go ahead and in HomeController.cs file modify the Action Index. Next we can bind data from Model to Kendo Grid as following. Make sure you provide name of the Kendo Grid. 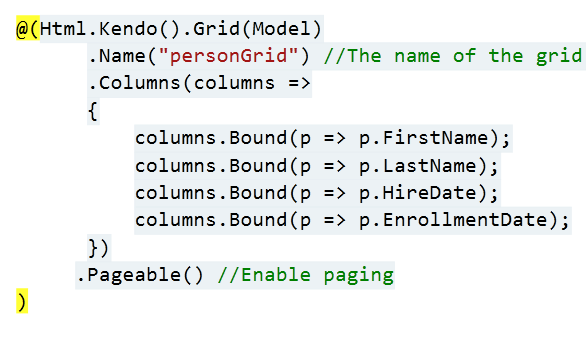 This is mandatory because name act as id attribute of the Grid element. Press F5 to run the application. You should able to get data from model in Kendo Grid. 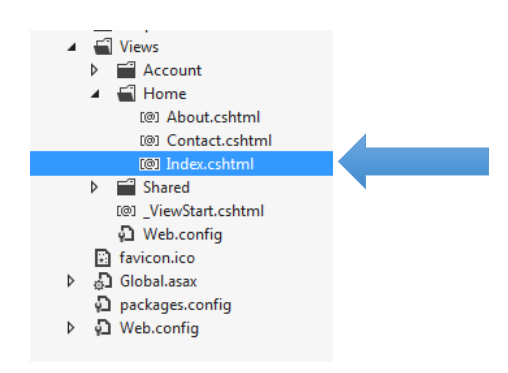 In this post we will learn getting started with Kendo UI MVC Wrapper. 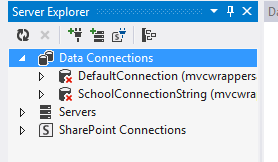 Launch visual studio and create a new MVC 4 Web Application. Choose Internet Application as type of application and Razor engine as the View Engine. To test whether we have created application correctly or not press F5 and run the application. If application is successfully running then you are all set to start using Kendo UI MVC Wrapper in your application. Very first you need to add reference of Kendo.Mvc.dll. 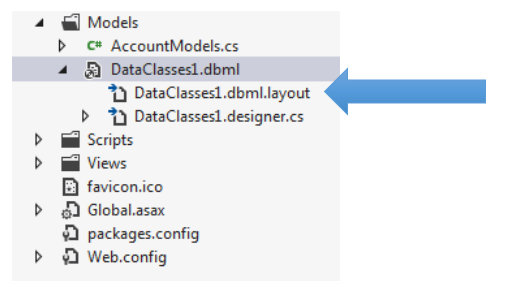 You will find this file in location \wrappers\aspnetmvc\Binaries\Mvc3. Right click on the reference in project and browse to add Kendo.Mvc.dll in the project. You need to make sure that following entry is present in the Web.config file. If above entry is not present then make sure to add them in Web.config file. Browse to Styles folder in Kendo UI installation directory and all the CSS files in the Content folder. If you are going to use some specfic style like Metro or Silver then make sure you add texture folder in the Content directory as well. Make sure you have added Texture folder and Default folder also in the Contnet folder of the project. You need to add this namespace in root level Web.config as well. So open root level Web.config and add the name space. last step you need to add references of CSS and JS file in _layout.cshtml file. You will find this file in Shared folder. Open this file and scroll down. Comment the like referring to jquery file. You will find that reference just before closing body tag. In this way you can start working with Kendo UI MVC Wrapper in ASP.Net MVC 4.0 Application. I hope you find this post useful. Thanks for reading!